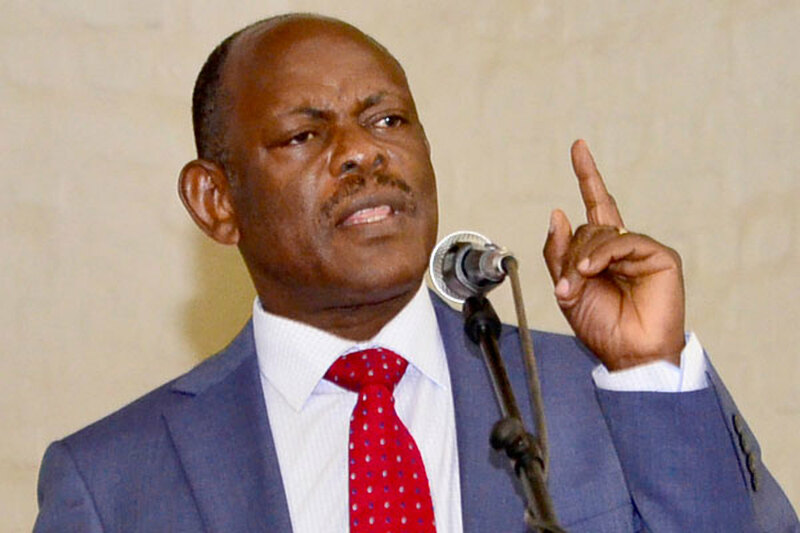 MAKERERE – The impasse at Makerere University over the suspension of staff leaders escalated on Tuesday after the Vice-Chancellor, Prof Barnabas Nawangwe, called for the indefinite closure of the School of Law, accusing it of fanning the staff strike that is now in its third week. Prof Nawangwe’s recommendation is contained in a report to the University Council led by Lorna Magara. Ms Magara had asked the Vice-Chancellor to brief the university management about the administrators’ actions taken to resolve the impasse between management and staff that started on January 19 following the suspension of the chairperson of the academic staff association (Muasa), Dr Deus Kamunyu. In his presentation at the emergency council meeting on Tuesday, Prof Nawangwe claimed that whereas all other colleges have since resumed teaching, the School of Law has not, hence calling for its closure. “Given the position taken by the School of Law, to defy authority and incite the rest of the University to follow their bad example, it is recommended that the School of Law be closed indefinitely. The staff should be required to hand over University property and the students advised to return home and await further instructions,” he adds. Prof Nawangwe noted that despite management forming a committee to investigate the grounds under which Dr Kamunyu and others were suspended, executives of staff associations, using the advice of Law school, want an unconditional lifting of the suspension of Dr Kamunyu as a condition for calling the General Assembly to lift the purported strike. This, he said, is not right. “The Management, on the other hand, maintains, and rightly so, that such an action would set a very bad precedent of impunity. It would be possible in future for someone to do wrong but just because they can mobilise others, no disciplinary action would be taken. This would greatly undermine disciplinary powers of Management as well as set a wrong future precedence. Unconditional lifting is also not provided for in the Human Resources Manual of the University and is thus illegal and unlawful,” Prof Nawangwe adds. He also indicates that students are being mobilized by Executives of Staff Associations to join them and put pressure on Management to unconditionally reinstate Dr Kamunyu. The letter is bound to add an insult to an injury. On Monday, the staff vowed to continue with the strike until the university management lifts the suspension of their leaders. About two weeks ago, the School Of Law dons also petitioned Prof Nawangwe asking him to recall the staff suspensions, saying there were illegal and notifying him that they were completely on strike, a petition which Nawangwe rejected.